Glowcare is a family owned and run, Vaillant UK official North West service agency, for expert Glow-worm Ultracom2, boiler repair, and service. We specialise in the expert repair and servicing of the high-efficiency Glow-worm Ultracom and Ultracom2 condensing boiler range. We are an independent, family-run business, serving our loyal customers across North West England, including Cheshire, Greater Manchester, Merseyside, and Lancashire. As Glow-worm specialists, we provide fast, affordable, no-nonsense expert analysis, diagnosis, and repair on the Ultracom CX, CXI, HXI, and SXI gas boilers. Our quality service saves valuable time and eliminates expensive part changing for our customers. Glow-worm wouldn’t pick any company to provide manufacturer’s support to their own service team. Glowcare were chosen as Glow-worm’s supporting agents for the North West, as we are a highly regarded company, who have worked continuously with Glow-worm on repair and service work, for nearly 30 years. We work on Glow-worm Ultracom boilers every day and have expert knowledge on each model in the Ultracom range. We always make it our business to attend factory training programmes as each new boiler model is launched. So whether your home has the combi CX or CXI, the regular heat-only HXI, or the system SXI boiler, we are fully trained to service and repair these boilers. Our training takes place within the Glow-worm factory training centre, at Vaillant Group’s UK base at Belper. The new Ultracom2 cxi was no different, we attended the service engineer’s course in October 2010. We carry a comprehensive van-stock of genuine Glow-worm parts, enabling us to almost always complete a repair in a single visit. To check that we cover your location, please take a look at our Areas We Cover page and select your nearest town or city. Please also view our Customer Testimonials page, here you can see how the service we provide is rated by our customers. 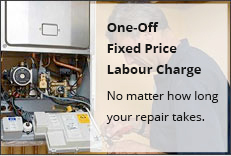 We charge an affordable, one-off, fixed call-out/labour price. For service or repair for the Glow-worm Ultracom boiler range, please call us on 01244 880 725 or 07789 018 775 or Contact Us by email. Glowcare are a Gas Safe Registered company, we always advocate the installation of CO alarms in customer’s properties as one way of detecting the presence of poisonous Carbon Monoxide. For further detailed gas safety information please see the Health and Safety Executive (HSE) page. By getting your ‘SEDBUK A’ rated, eco-friendly, Glow-worm Ultracom boiler regularly serviced, you are ensuring that your boiler is operating with maximum efficiency. This annual service will help to lower your energy bills for the central heating and hot water in your home. By doing so you are also playing your part in reducing your Carbon Footprint and harmful emissions, this of course helps to keep the environment as clean and green as possible. Glowcare are a Vaillant Group, service agency, supporting the boiler brands Vaillant, Glow-worm and Saunier Duval. Since 1992, we have consulted for a number of large national companies in our industry, including B Gas. 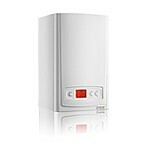 As Glow-worm specialists we also work on all other gas boilers in their domestic range. These boilers include the Flexicom, Betacom, CXI, HXI, CI, Compact and all older models.